Team Tryon takes home 3rd place! Kat Page and Ollie finish third in the TIEC Field Hunter Championship sponsored by Adequan. Anita Crouse riding for Green Creek Hounds and Palm Beach Hounds took top honors on her fabulous horse Rickie. Congratulations to John Stanley from Four Winds Hunt for Reserve Championship. And, congratulations to our members that participated in the Inaugural Festival of the Hunt. Special thanks to Carolyn Cadier who brilliantly executed Roger Smith's vision of promoting foxhunting by creating a week long celebration of one of the oldest sports. 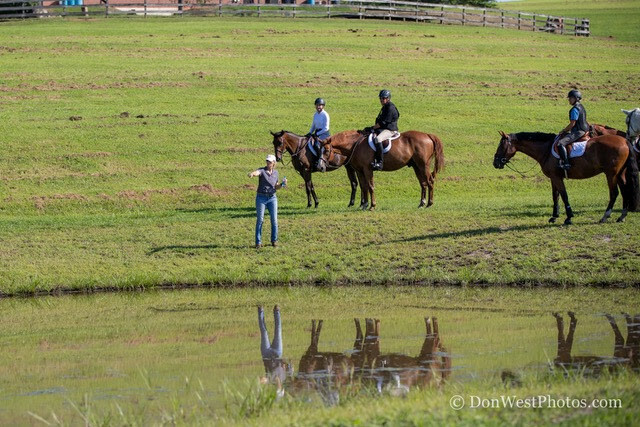 We also want to thank the judges Snowden Clarke, Tom Cadier, Linden Wiesman Ryan, and Roger Smith and the Staff of the Tryon International Equestrian Committee for all the hard work in making the event a huge success. We hosted 115 riders and made over $4000 for our beloved hounds. The big winners were: First place In the Field Hunter division: Marcia Headrick and Richard Neel and Erin Fletcher and Forrest Samuels in the Trail Riders division. Taking top honors for the Tryon Hounds member with the best time was Carolyn and Tom Cadier in the Field Hunters division and Becky Barnes and Beverly Ozmon in the Trail Riders division. The Pace Event would not have been successful without leadership of our wonderful co-chairs Master Louise Hughston and Nelson Minnick and the help of 15 volunteers: Michael Axelrod, Tom and Joleen Eizember, Skip Leck, Bonnie Lingerfelt, Milton Mann, Morgan Clemetson, Dean McKinney, Reed McNutt, Wes Moore, Anne Pierce, Paula Stathakis, Jim Sumrell, Don West, and Pam Minnick. THANK YOU! And, thank you to the Hare and Hound for helping to round out the menu with the delicious potato salad. With the generous help of our volunteers and the Event Timer, Joey Cabiness', amusing quips for each team as they prepared to leave for the trail, a fun day was had by all! September 23, 2016 - Host a Hunt Breakfast! The Hunt Breakfast is the social fabric of our club. It brings our members together for fabulous food, flowing spirits and lively conversations and many laughs! Please review the calendar below of open dates in red and let us know if you are willing to help host a breakfast. Please keep groups small (3 - 4 couples) so that we can filled the social season with many fun events. We kicked off our historic season in grand style and we raised over $18,000 for our beloved hounds! And most special thanks to Lewis Pack for always supporting the Tryon Hounds! 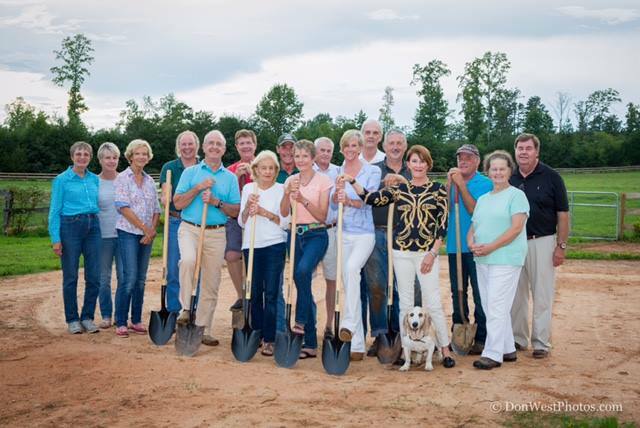 August 17, 2016 - Ground breaking for new barn! The Tryon Hounds has named Beth Blackwell as our new Huntsman as the hunt club starts its 90th season of riding to the hounds. Beth was previously the Huntsman at the De La Brooke Foxhounds in Maryland. Beth began her career in mounted foxhunting after spending many years as a professional hunter/jumper rider and trainer. "I was convinced by the Master of Cedar Way Bassets, Herb Schneider, whom I had been 'basseting' with, to go on a foxhunt in rural Alabama. I have spent the seventeen years since as staff for both mounted and foot packs of foxhounds and basset hounds", commented Blackwell . "Herb passed away in 2004 and I inherited the Cedar Way Bassets and a horn. I have hunted hounds as either a visitor or resident in eleven states and served as both honorary and professional whipper-in for five packs and hunted foxhounds professionally at Tennessee Valley and De La Brooke Foxhounds", added Blackwell. 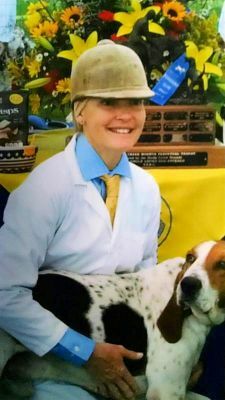 Beth will be hunting a pack of Bassets on foot as well as the Tryon Hounds American Foxhounds pack. And, will take over the day to day duties of managing the Tryon Hounds hunting activities. "We are extremely pleased to have someone as accomplished as Beth join us as the Huntsman for our hunt", said Joint Master Bonnie Lingerfelt. "She will bring many years of experience to our hunt as we start this most historic year celebrating 90 years of riding to the hounds". Beth will be moving into the Huntsman's House on September 1st and the cubbing season will begin on September 10th.